Melodic Intersect is an ongoing music project that brings together a diversity of musical styles, cultures,and disciplines. 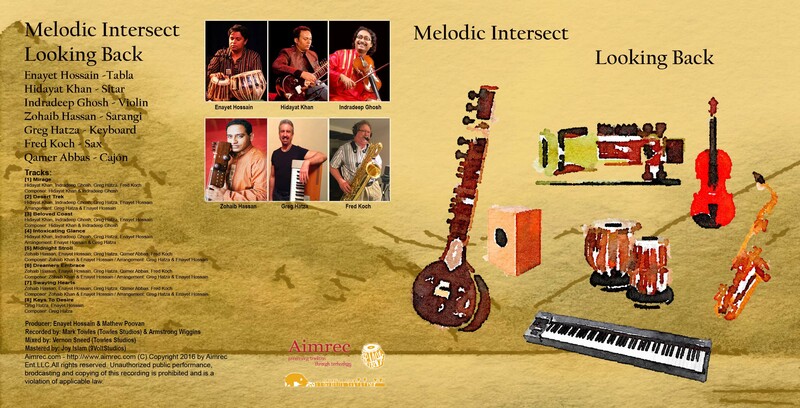 It features collaborations from a rotating ensemble of talented musicians thoughtfully integrating rhythm and melody from genres such as Jazz, North Indian Classical, Rock, Eastern and Western Folk, and many more. 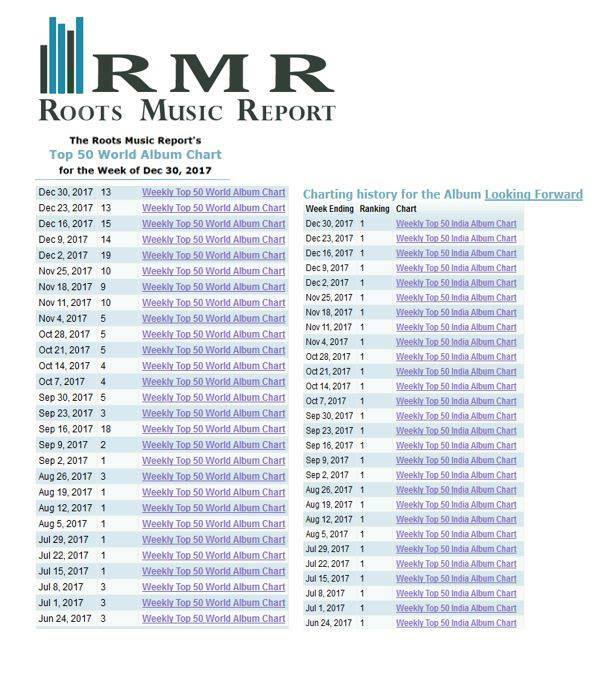 LOOKING FORWARD IS #5 FOR BEST ALBUM IN WORLD MUSIC CHARTS FOR 2017! 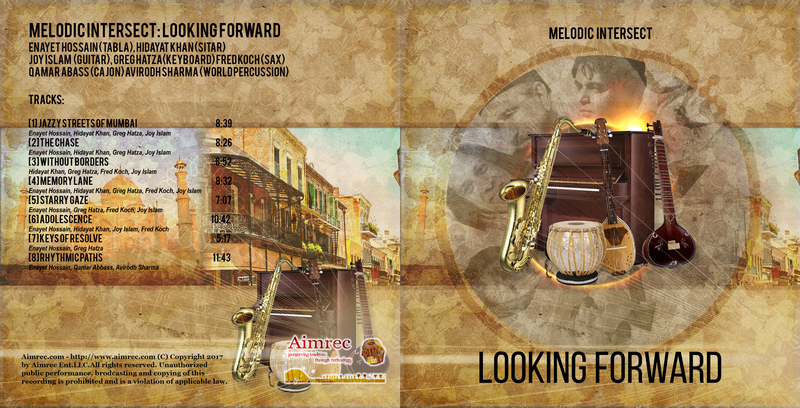 LOOKING FORWARD’S POSITIONS SINCE RELEASE ON RADIO! Our music heavily features Indian classical music, Indian Folk Music, Jazz and other genres to make a truly world music vibe! 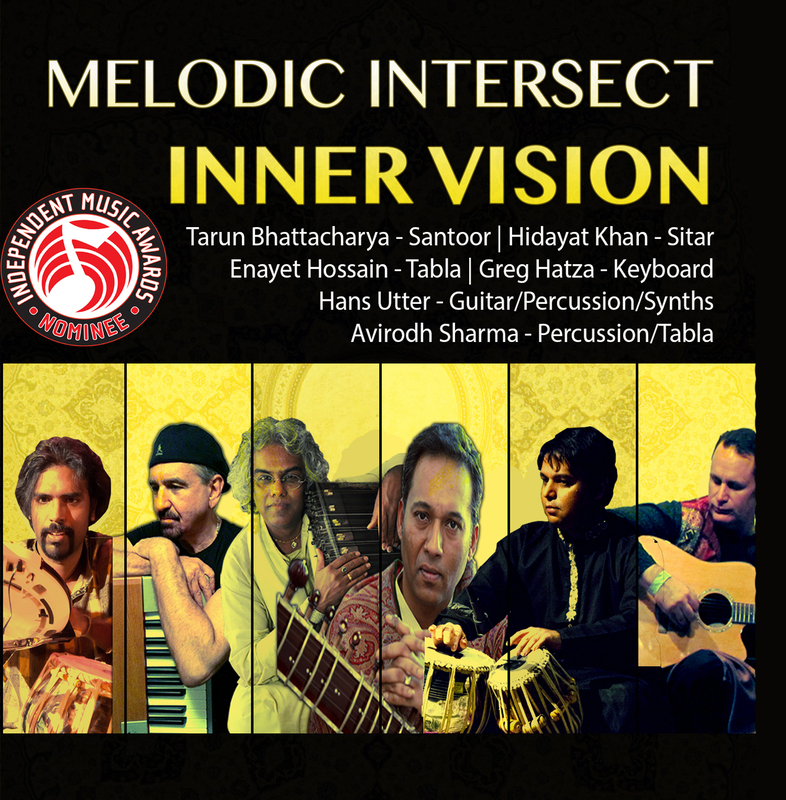 Melodic Intersect’s brand of fusion music has always relied on Indian classical and folk traditions as well as western Jazz, free-form Jazz and other genres of music. All of our band members have deep rooted experience in their own genres. 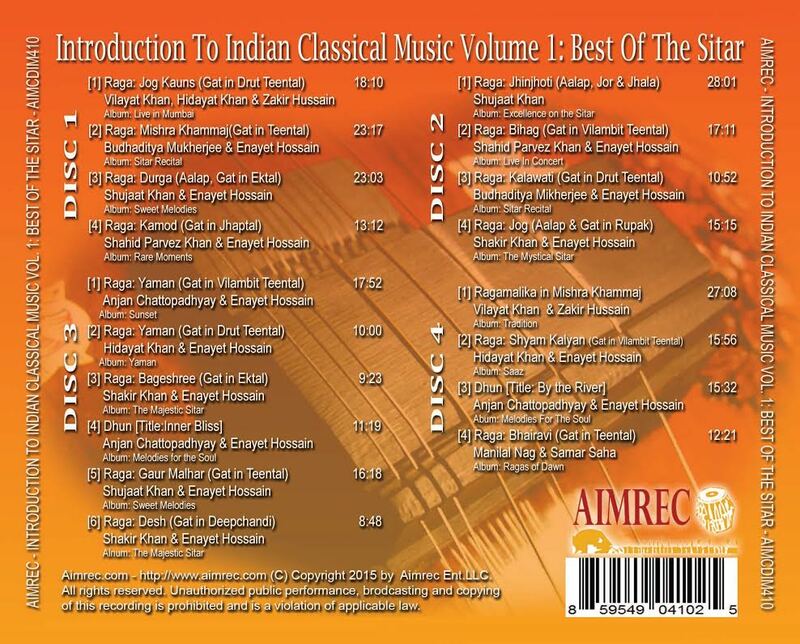 We are happy to announce our label Aimrec has recently released a compilation of their cds that feature several of our band members playing what they are renowned for, Indian classical music. 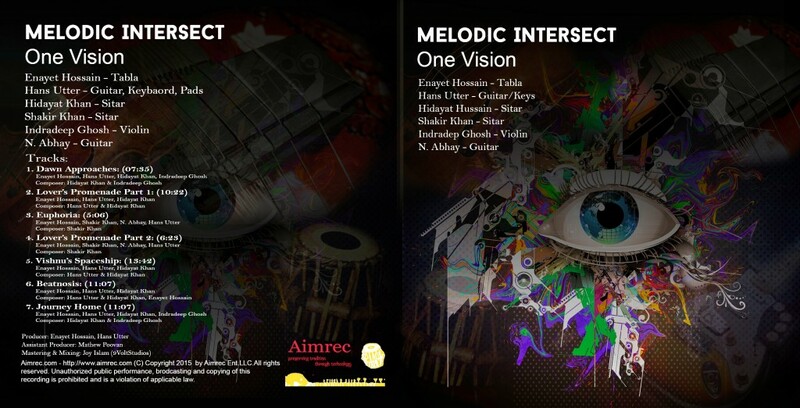 It features, Hidayat Khan, Shakir Khan, Anjan chattopadhyay and Enayet Hossain who are all members of melodic intersect. Offered at an introductory price of $3.99 (Pre-order price) and $7.99 (Regular price). It is now available and features 18 tracks (over 4 hours of music). please check it out and support our band members and our label! Available for purchase on itunes right now! WE are happy to announce the release of our fourth album, one vision. This album brings together the experiences we have had as a group from our previous albums and we hope you enjoy it! please feel free to leave us feedback and remember, if you like our music please let you friends know! More information ABOUT THIS album can be found here: ONE VISION. A preview of the album on soundcloud is listed below. we are featuring World Music in the Fusion form of Indian Classical, Jazz, Rock and for the first time Hip-Hop. Come out and support us! We are proud to present to you two new releases for the group. Both albums goes in different directions incorporating new exciting musical influences! We hope you enjoy them. Our second Album brings together a host of world class musicians and builds on our experiences with our first album: Eastern Visions. Featuring the legendary Santoor maestro, Pandit Tarun Bhattacharya who has played in nearly every country in the world and is considered amongst the top 2 santoor players in the world. Tarun’s immense stature as a renowned classical artist as well as an artist who has crossed boundaries and played with such Western luminaries such as Pandit Ravi Shankar and George Harrison of the Beatles brings a tremendous amount of musical direction to the group. 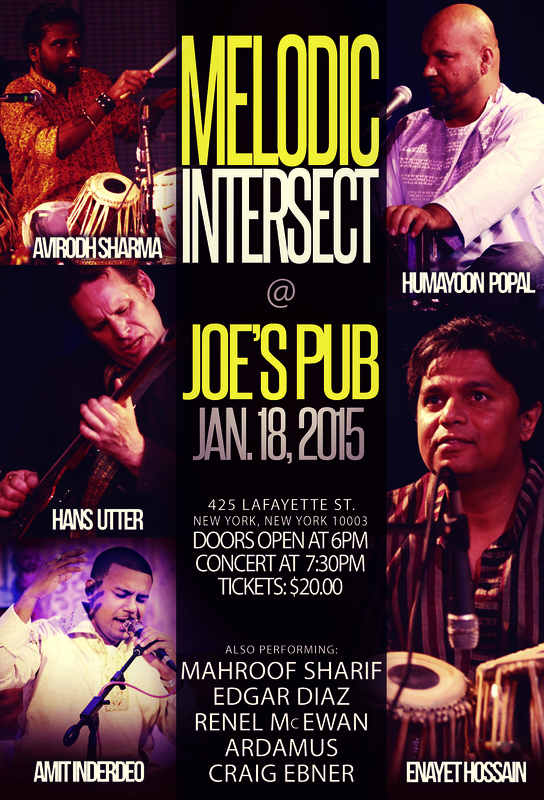 He is joined by Hidayat Khan,sitarist and the son of the legendary Ustad Vilayat Khan. Hidayat’s training in classical music and his background working in Bollywood and Hollywood film scoring enables him to easily fuse the different genres of music easily. Greg Hatza is on the keyboards and is considered one of the eminent Jazz musicians today. 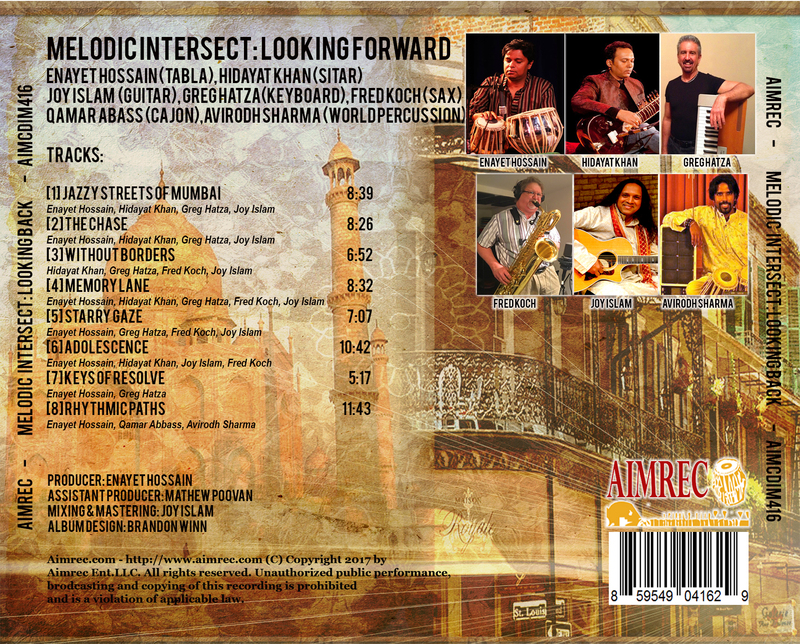 Greg’s background in Jazz and his training in Indian classical music for over 20 years makes him a great fusion artist. His mastery is apparent in the various tracks. On the tabla is Enayet Hossain, a well established and known tabla player. 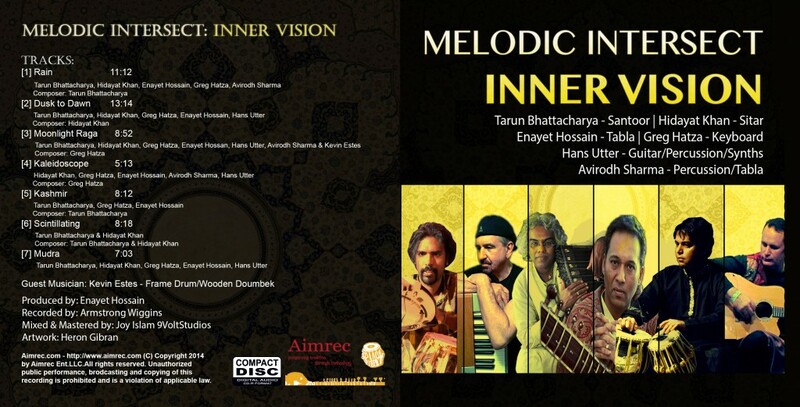 Enayet’s background as an Indian tabla player who has accompanied all the great Indian classical musicians such as Ustad Vilayat Khan & Ustad Sultan Khan as well as haven played in the first album Eastern Visions makes him an asset to the recording. 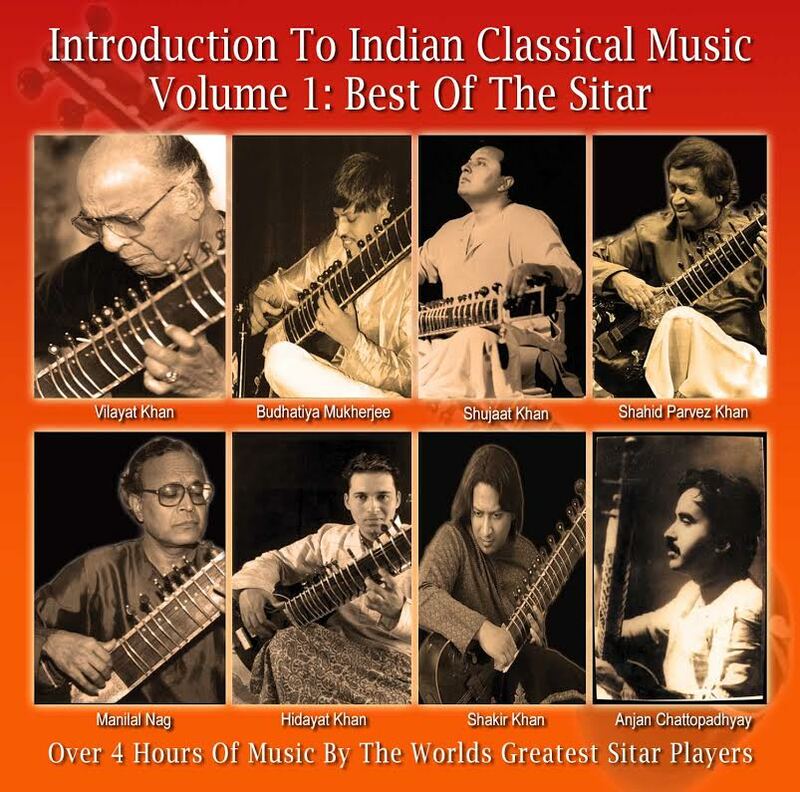 Hans Utter, a trained guitarist and classical Indian Sitar player brings forth his wealth of knowledge in all kinds of genres. He has done session work for many of the top Western Rock bands and world music bands across the globe. Lastly, Avirodh Sharma from Trinidad is a new talent on the rise. Equally versatile in Tabla and Percussion, Avirodh brings forth a wealth of knowledge and sensibility from Indian traditions and the Caribbean musical tradition.